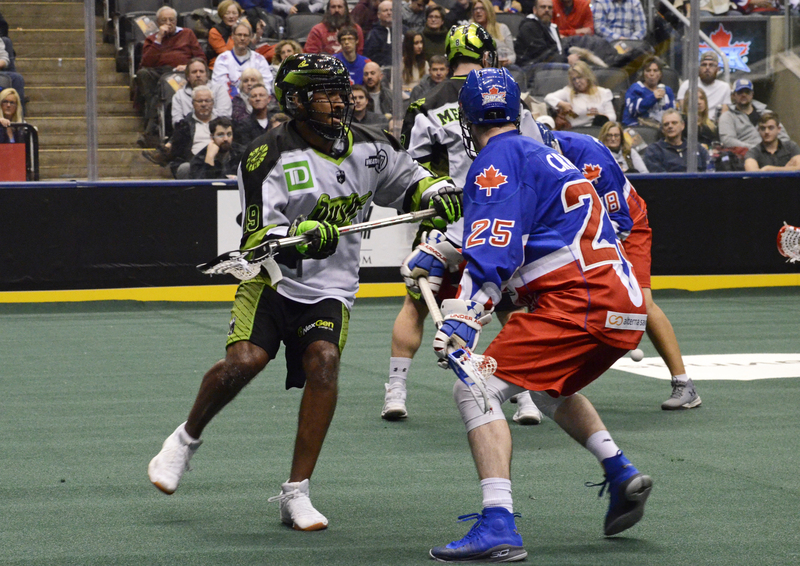 After winning their sixth game this season 16-13 against Saskatchewan Rush on Friday night at Scotiabank Arena, the Toronto Rock stay comfortably seated atop the NLL standings. Opening up the game with back-to-back goals – something we have come to expect of the Rock this year, Toronto took the lead early on. 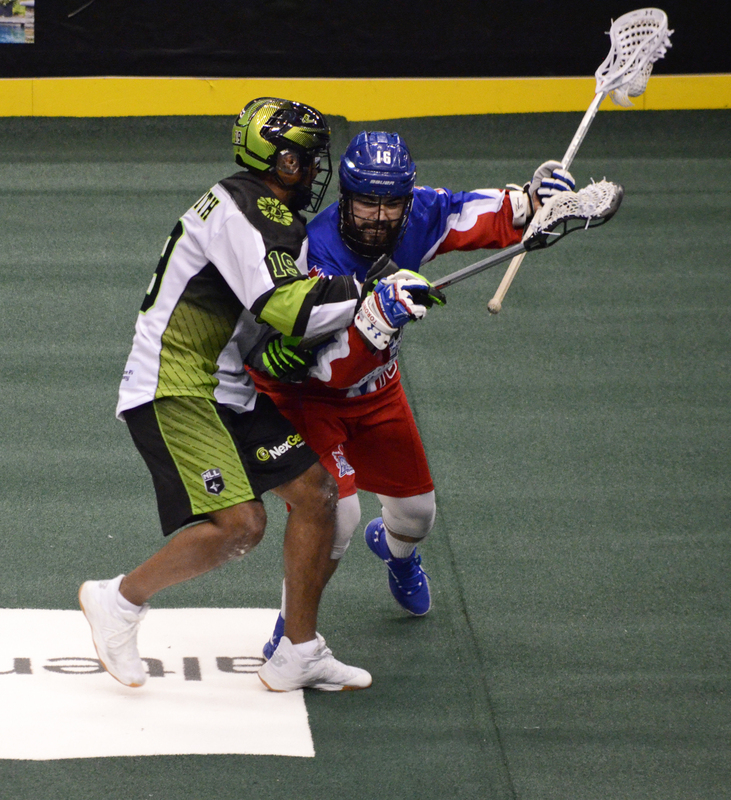 The Rush would not take this too kindly as the 2018 NLL Cup winners rallied to score three in a row giving them a 3-2 lead with 10 minutes left to play in the first quarter. This was the only lead the Rush would see through 60 minutes as the Rock outscored the Rush 4-2 in the time remaining giving them a 6-5 lead going into the second. “We’ve been finding different ways to win,” said Rock head coach Matt Sawyer. And that is exactly what the Rock did for the remaining 15 in the first half. 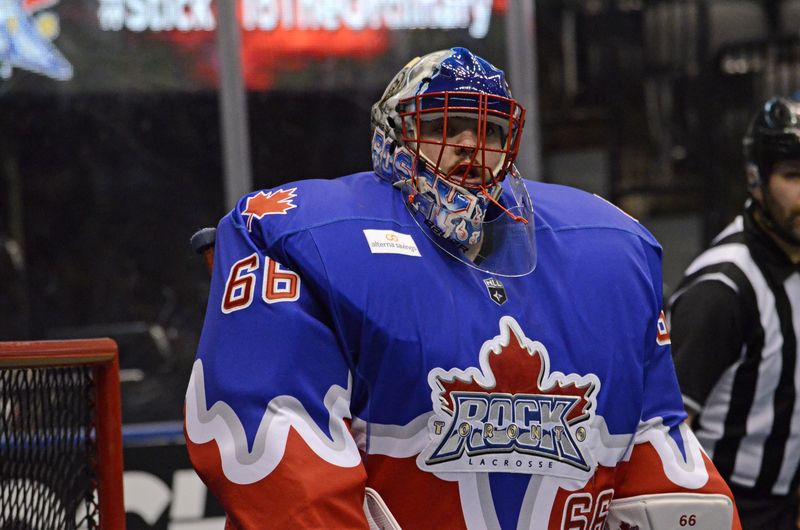 The Rock were completely in control of this game after Brandon Slade scored off a faceoff win by Jay Thorimbert. With five goals in the second quarter raining from the sticks of Slade, Creighton Reid, Dan Lintner, Dan Craig and Adam Jones, who recorded a hat trick in 18 minutes, the Rock had the Rush on their heels. With the Rock heading into the locker room at the half up 11-7, the once impenetrable defense of the Saskatchewan Rush seemed the exact opposite. The remaining half of this game became the chess-match that most fans were expecting. Trading goals throughout the third with three per side, the level of competitiveness soared to new heights. Though the Rush saw themselves down 14-10, they did not give up. Though they outscored the Rock in the final quarter by a one-goal margin, the Rock’s two goals to the Rush’s three was more than enough to give them a 16-13 win. The Rock have been praised for the efforts on the defensive side of the ball this season which was their Achilles’ heel last season. Allowing only nine shots in the second quarter, this Rock defense has grown in leaps and bounds, and is a reason for their success. “We were pretty good up front and our D shut it down when we needed them to,” said four-goal scorer Adam Jones, who has arguably been the best player on both sides of the ball, also scooping up 44 loose balls this season. To Sawyer’s credit, Rose was on par with his performance all year as he deflected 33 of 46 shots for his sixth win of the season. Rose’s save percentage of .784 is one of his best-ever, close to 2016’s .783 and 2015’s .803 (although he only played 432 minutes that season). With Rose and the Rock now finding the recipe good enough for the franchise to collect their seventh title, all eyes are on Toronto to keep this level of play up. The Rock now enjoy the fruits of their labour and a chance to relax as they come up on their bye week. They will be back in action hosting the San Diego Seals on February 15th.